Much as I want to preach the amazing qualities of a Staedtler fountain pen with its intensely smooth nib, heavy barrel and well above average writing experience to first time buyers, I have to remember that most of our new customers are not as enthusiastic as I might be on spending $260 for their first purchase. 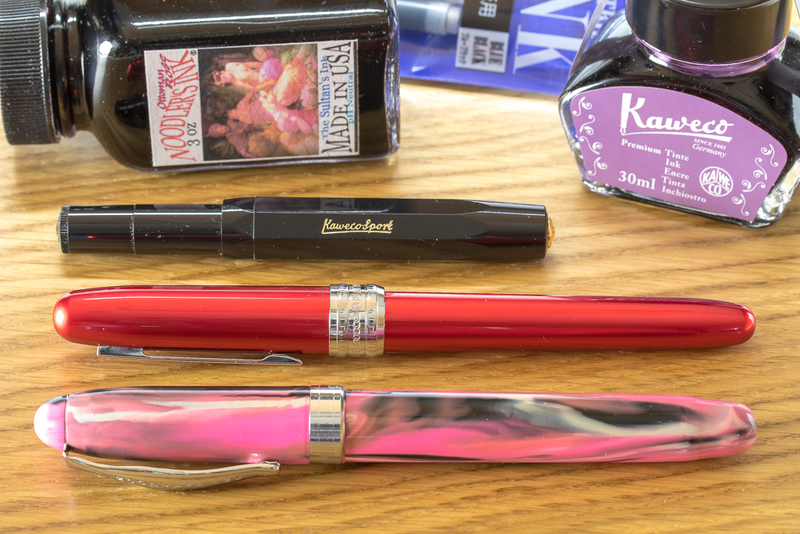 It's true that a Pilot Splash or a Prera will give you a far superior writing experience than a Platinum Preppy, but who wants to spend that much money on a first foray into the world of pen and ink? So what are my recommended four fountain pens that are below a $50 budget and give exceptional quality along with affordability? Below are my suggestions, whether you are simply after a low cost pen or you are a first time buyer who doesn't want to spend too much money. What can I say about Kaweco's amazing pen? It's a classic fit in your pocket safety pen that has very few leaks and hardly ever causes problems. The pen is short so writing with the cap posted is the way to go unless you have really tiny hands! Although this is a low cost pen, the nib promises to perform well above average. The Kaweco Sport comes in two flavours, the classic and the Skyline. The only difference being the colour of the trim and nib. The classic comes in gold trim with a gold plated nib and the skyline comes in a silver trim and nib. The body of the pen comes in a variety of finishes and colours. The Kaweco Sport takes international cartridges but being short doesn't let you store a spare in the barrel. If you prefer bottled ink then you can purchase a squeeze converter and Knight's Writing Company will soon stock the new and improved piston converter. The plastic sport pens are light weight and low cost compared to their aluminium counterparts. But don't let this distract you from the excellent quality of their writing. We don't have many pens from Platinum but what we do have are superb. The preppy is a very low cost pen and you will likely pay more in shipping than for the pen itself. If you would like to try an excellent engineered Japanese nib then you can't go wrong for the price. The preppy is a very low cost plastic barrelled pen that comes in pink or green with a fine nib. For the price you get an excellent writing experience and a low cost pen that you can experiment with. The wonderful Plaisir PGB-1000 comes in red, gold or gunmetal and also give you a fine writing experience but at a slightly higher cost. With a cool aluminium barrel compared to the preppy's plastic barrel, you'll get a nicer pen that will last for years. We've not had any complaints about either pen and the fine nib is really very fine. The writing is smooth without skips or scratches. Platinum pens only take proprietary cartridges and don't accept the international standard. You can purchase a converter that fits both the preppy and plaisir so you have the choice of using bottled ink if you wish. The converter is also a proprietary fit, so you won't be able to reuse one from another brand of pen. Take a serious look at these two pens as a low cost entry into the fountain pen world and you will find you get very good value for money. Noodler's Ink fountain pens are a highly sought after pen, and we sell a good number of them. Consider Noodler's Ink as a first fountain pen if you must – but I'm going to give you a little word or warning. Noodler's Ink fountain pens are an odd product! 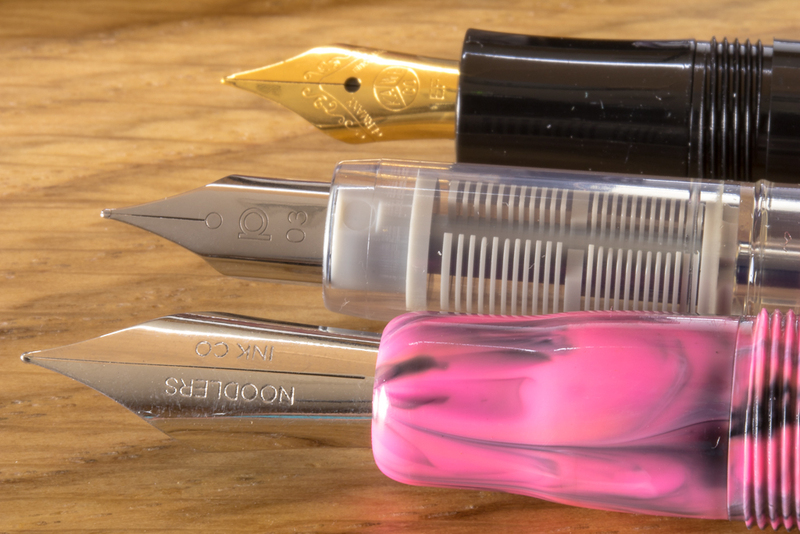 If you're buying a Noodler's pen then make sure you are happy tinkering with it from time to time to stop leaking, aid in making a scratchy nib less scratchy, or replacing the piston grommets for some that you have purchased in your local hardware store. And they smell. These pens are super fun but more for tinkerers than serious writers. Noodler's Ink fountain pens are on the other end of the spectrum compared to the super reliable Kaweco Sport. An interesting earthy fountain pen with quirky nibs and feeds that are sometimes less than reliable. There are fans who purchase these pens on a regular basis for the interesting flexible nibs that give a varying width to your writing. Which Fountain Pen To Buy? 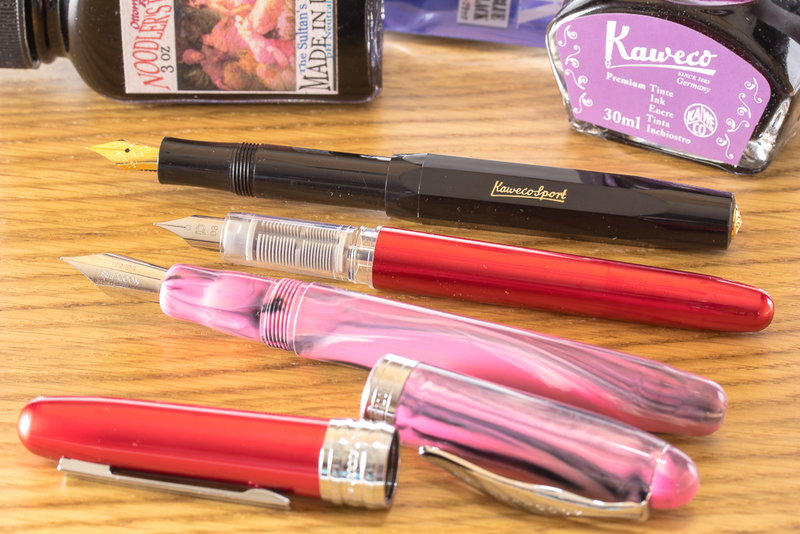 My recommended manufacturers for first time buyers who are on a budget are – in order - Kaweco, Platinum and Noodler's Ink. If you want to have some fun with a fountain pen and aren't going to be put off by tweaking the feed, nib, and getting frequent leaks, then consider a Noodler's Ink Nib Creaper, Konrad or Ahab. Ok. I'm not selling it well, but these pens are fun, pure and simple. I highly recommend Kaweco and Platinum for serious writers who want a reliable pen that is sure to last for years.